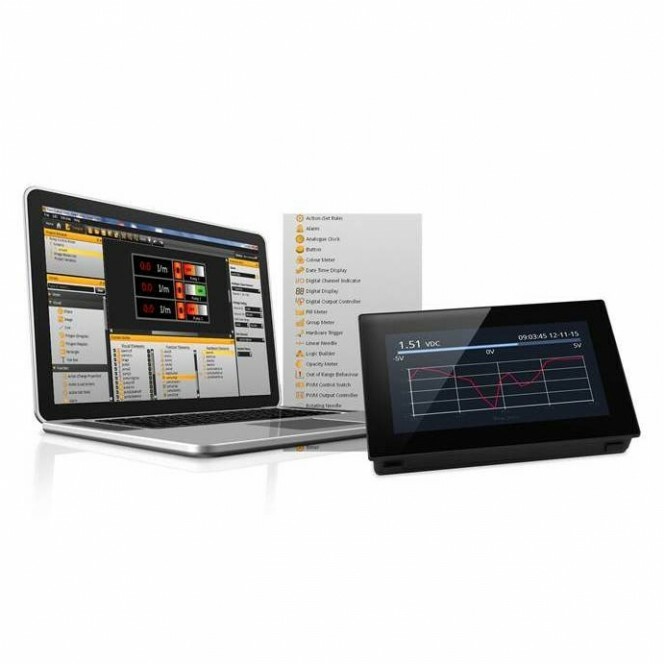 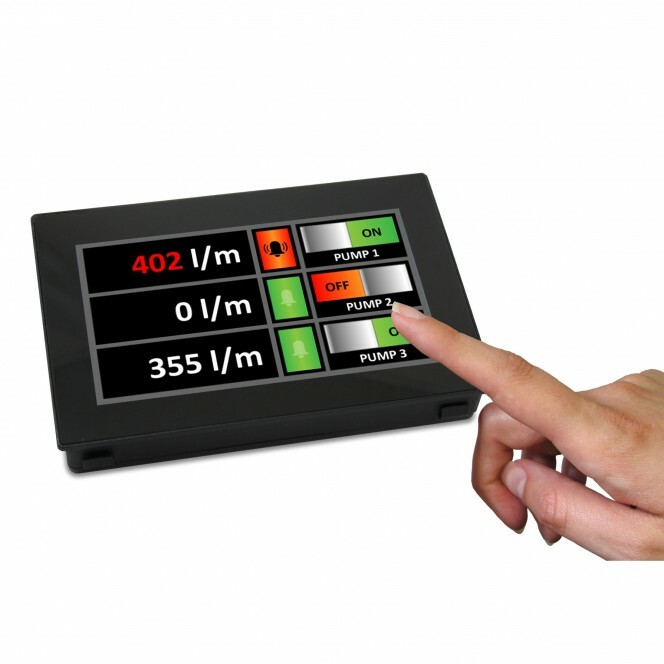 SGD 43-A is a 4.3” capacitive touch display designed for use with PanelPilotACE Design Studio, a free drag-and-drop style software package for rapid development of advanced user interfaces and panel meters. 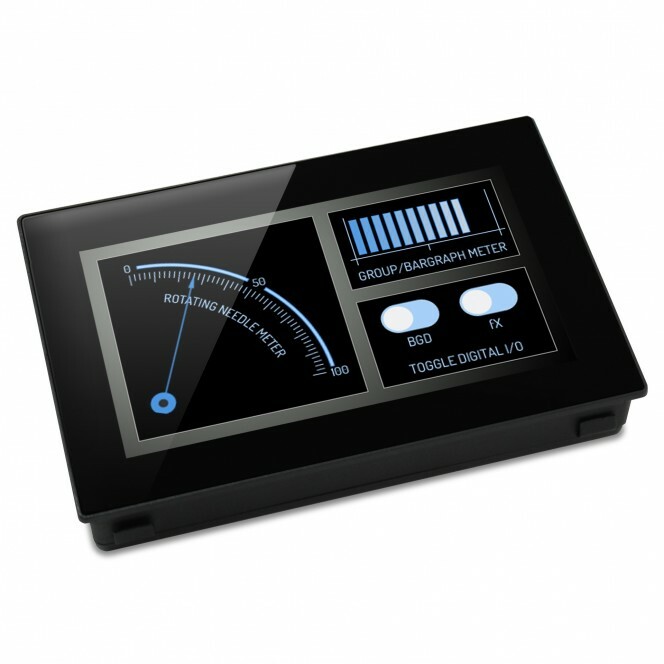 This off the shelf display features a wealth of hardware interfaces, including four 16-bit bipolar analogue inputs (to a maximum of ±40V d.c.), eight digital input/output pins, two alarm outputs, four 8-bit PWM outputs and serial RS232 and accessories available to measure RS485 and temperature. 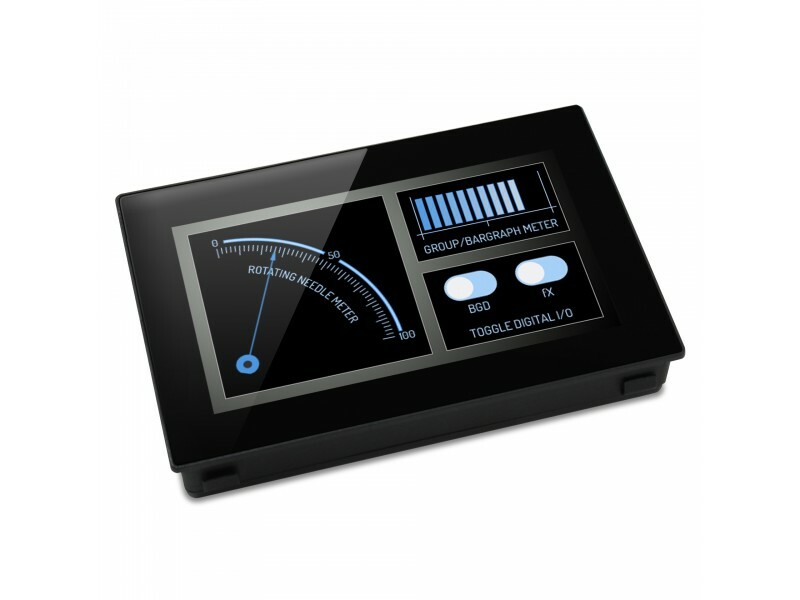 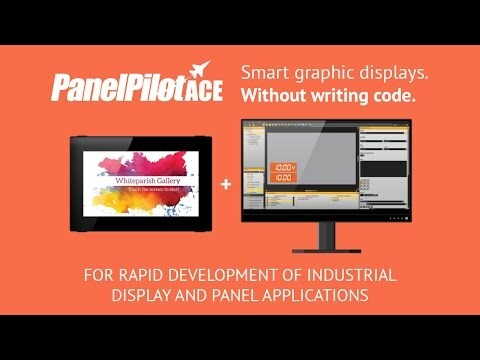 General Description SGD 43-A is a 4.3” capacitive touch display designed for use with PanelPilotACE Design Studio. 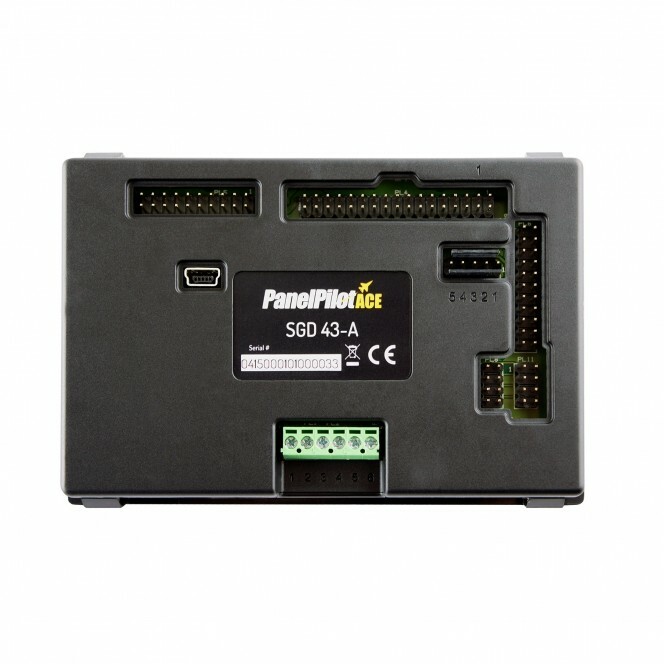 Input / Ranges Analogue Inputs: Four 16-bit to ±40V d.c.